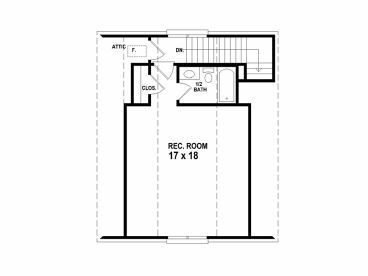 Second Floor 413 sq. ft. Depth 28 ft. 10 in. Approx. Height 24 ft. 10 in. 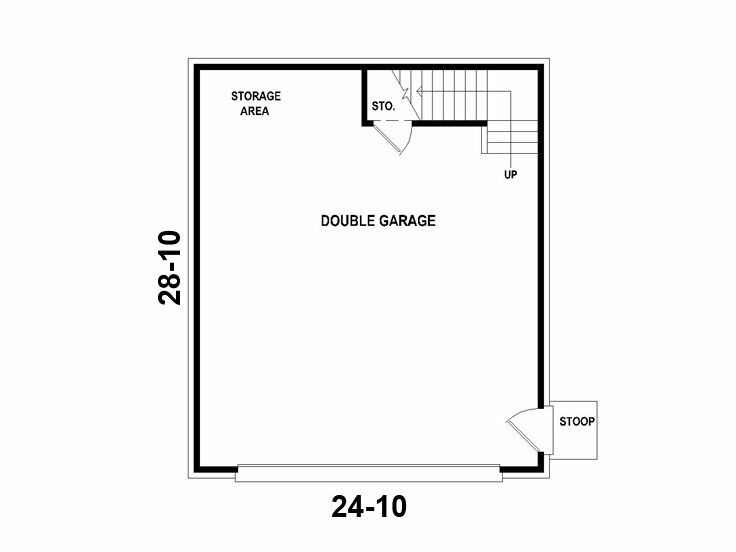 Simple yet stylish, this garage loft plan with flex space is sure to please everyone in your family. The exterior sports a brick façade and a reverse gable roofline while a window positioned over the garage door draws the eye upward. 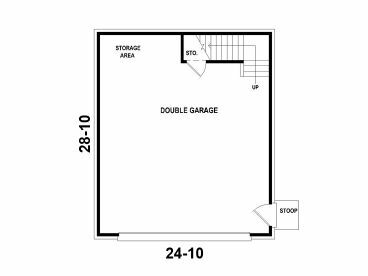 Inside, the main level provides a double garage bay with a 9’ ceiling, storage area and 716 square feet of usable space. Interior stairs lead the way to the second floor loft. A 413 square foot finished second floor delivers a 9’ ceiling, full bath and a recreation room for the entire family to enjoy. 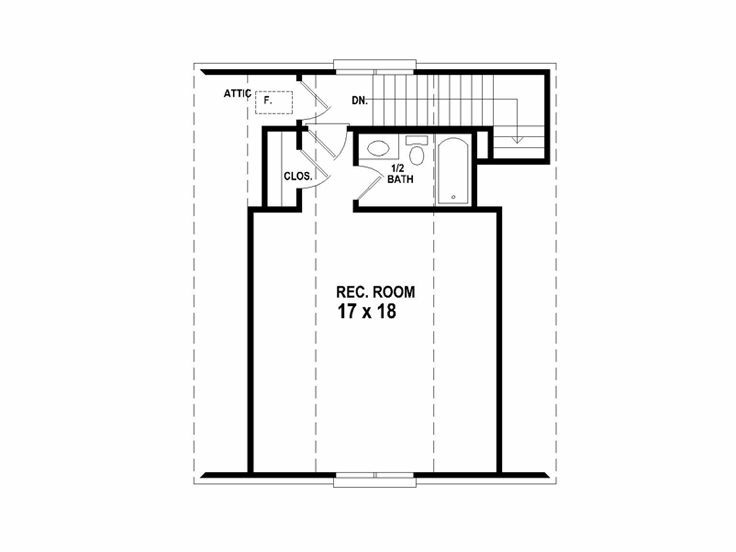 Or use this flexible space for something else you desire such as a private guest suite for weekend visitors, a hobby room, home theater, exercise area and home office. The choice is yours! No matter how you used the loft area, you’ll appreciate the storage closet. 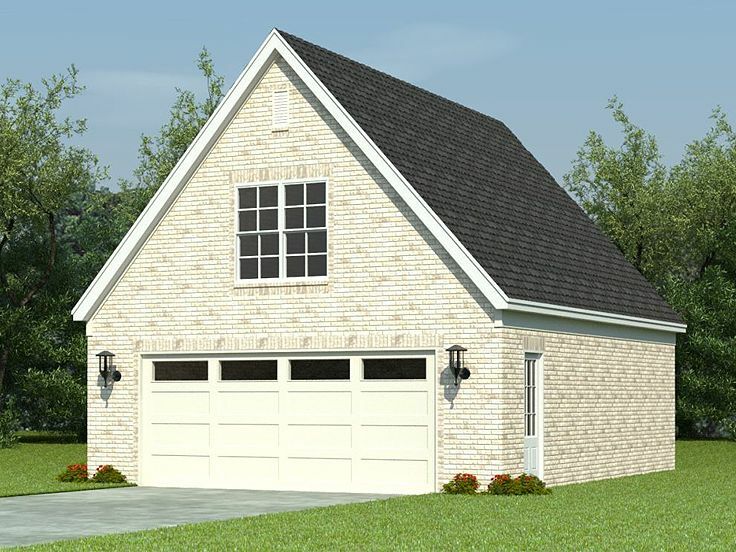 As practical as it is flexible, this 2-car garage plan with loft and storage is worth taking a closer look.